Most of the time, in order to get a car, people need to take out a car loan. As you may know, however, in order to take out a loan, you typically need to have “good” credit. But, what if you have fair credit? Or what if your fair credit has taken a hit or two recently? Are you still able to take out a loan to purchase a car? Usually the term “good credit" means a score around 700-750. Not every person has a high score for a few different reasons. It could be that you have multiple lines of credit out, you made a few late payments on a bill, or you maxed out a credit card. The reasons why your credit score is going down may vary, but it can take months, maybe even years, to get your credit score back up once its taken a nosedive. Before you actually go to the dealership and begin your search for the perfect car, there are a few things you may need to do first. The absolute most important thing that you need to figure out is what your budget is for the car. This means you need a good handle on how much you're able to afford monthly, and how much interest can you afford as well. This is pivotal because, although you may already know how much you can afford as far as monthly payments, you always need to account for the added costs that will be included with each payment. Next, it's important to figure out how much money you have available to put as a down payment. Many people do not like putting a down payment on a vehicle, but this is a way to get your monthly payment to decrease. You should also take a long on the internet at some cars that are within your price range. The higher the price of the car, the higher the monthly payment will be. To get a low payment on an expensive car, you'll end up dragging your loan out for maybe 5-7 years, which is not the best option. The longer your loan is, the longer you are paying which means even more interest. The final thing that you need to decide is whether you are looking to buy a new or used car. Once again, this is determined by how much you are willing to spend. A used car can have some of the same features as a new car, without the added $10,000. When you get to the dealership and begin talking numbers, one of the first things they will do is check your credit score. It is wise to be aware of your score before going to the dealership. This will ensure that you know your correct score, and do not get completely blindsided when you are there. There are websites like Credit Karma that offer services for you to check your credit score for free. CreditKarma also gives you a free report of your score over the past few months. This will ensure you to see what has made it go up or down and how you can improve it even more. You can also make sure that everything in your report is correct. If there are any errors, it is best to dispute them and possibly get your score even higher before applying for your car loan. Just like your credit score, there are other ways to get an estimate of how much your interest rate will be for the loan, like getting pre-approved for an auto loan. This will also give you an actual number that you can print out and show to the salesman at the auto dealership. By having this number, you'll have some more leverage to negotiate a fair number that you were pre-approved for if they try to give you a much higher interest rate. 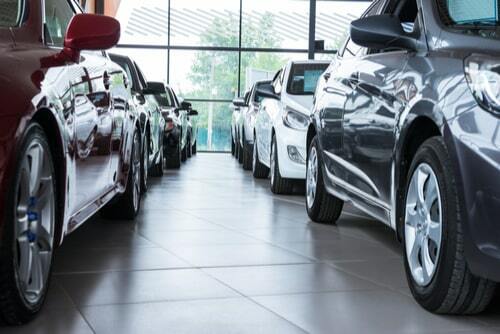 Typically, the dealer wants you to leave with a car, so they will be more inclined to try to beat the pre-approval rate in order to keep you in their chair to purchase a car from their lot. Auto loan calculators can help you in the process of figuring out if you can afford the monthly payment of the car that you're looking at. In the calculator, you will plug in the price of the car, how much you will be putting as a down payment, the interest rate, and also the length of the loan. When you plug in all of these numbers, the calculator gives you an estimate of how much your monthly payment may be. This can help with your negotiation as well. In using the calculator, you get to basically design your own car deal. Of course, this does not mean the dealership will offer the exact deal that you've come up with. It will, however, give them an idea of what you are willing to pay and for how long. 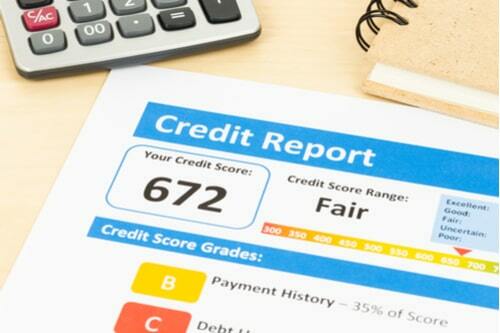 If your credit score is under 700, and considered to be “fair,” you may not be offered the deal that you are looking for, but there is still a way around this. After signing the papers and getting the deal closest to what you can afford, make building up your credit score your immediate priority. Make sure to always pay your bills on time, prevent spending over half of your credit limit, do not take out any more credit cards, and finally limit your spending. How will this help with your car loan if you have already taken out the loan? 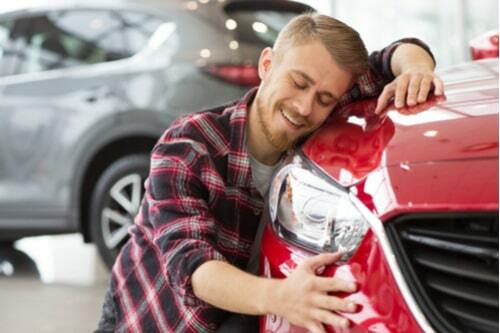 The good news is you can always choose to refinance your car loan. This means that when you finally do get your credit score up to 700 or above, you can ask to refinance your auto loan to get a better and more affordable monthly rate. It's never too late to increase your score and lower your loan. If you're having trouble finding a loan that works best for you, you may want to take another route first. If you have a car that you have already paid off, you can use that as collateral to put a down payment on your new car. You can do this by taking out an auto title loan on your old vehicle, and using that loan money to purchase a car. An auto title loan is basically a loan that is given to you based on the worth of your current paid off vehicle. With the money that you receive for your old car, you can put as a down payment for your new car to decrease the monthly rate. Your old car is then used as collateral to pay your auto title loan back. If you fail to pay back the loan, the loan office will then have the rights to the title of your old vehicle. You can search for this type of loan by typing into google auto title loan near you (well, where you live). As long as you do your research, stay on top of your credit score, and know what to negotiate, you should be able to find the car payment and pricing that works for you. Good luck with your car purchase!